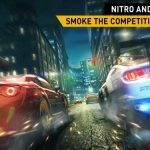 Previously, we had given you some Racing Rivals cheats, tips and tricks best used by newbie players who are just getting started with the game. But before we give you five more tips, this time more appropriate for experienced players, let’s talk you through the game a bit. 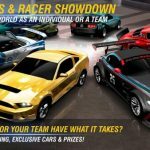 Racing Rivals, which runs on Android and iOS, is developed by Glu, and it’s essentially a game where you can complete the main campaign, or challenge real-life players (meaning other human opponents, not real-life racers) from anywhere in the world. 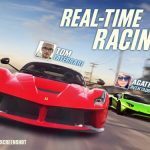 But while there are no actual race car drivers in this game, there are real-life vehicles – lots of them – including track-burning vehicles from SRT, McLaren, and many more. 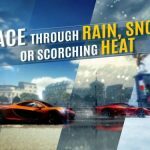 Having jogged your memory a bit, let’s get to our list of Racing Rivals tips and tricks. Pink Slip races refer to those races where you put your car on the line – if you win, you get the loser’s car, and if you lose, your ride goes on the market. As you can see, these are really high stakes, so you should always come prepared, meaning making sure that the two (required) cars you’ve got are fully upgraded. Winning races isn’t just about having the more powerful, faster car, or having the right mix of internal parts. It’s also about your tires, and fortunately, you can upgrade them in any order; it’s not necessary to buy tire upgrades one by one. When upgrading tires, you want to go for only the best available ones at the store, to ensure that your wheels don’t spin despite your perfect launch. The game’s description on the Google Play Store shows a list of the real-life car makes whose models you can choose from. Even if you’re not immediately planning to buy a car, you should visit the showroom regularly; who knows, Glu may have added some new car options (as it promised in the description), and it might be the car you’ve always wanted to drive. Multiplayer mode, which we’ll be touching below, is fun, but you should also take part in the main campaign, and try your best to complete it, or at least complete all races in multiple classes. Of course, the last race in a class campaign would be the hardest race, but you’ll be rewarded richly anyway, in the form of a new car, all for free. And that new car will almost always be of a higher class than your present ride. You don’t need to hit on the panic button if you’re in multiplayer mode and waiting for ages for your rival to be available. When challenging another human player, there’s a very good chance they’ll actually be “busy” racing someone else. But since we’re talking about quick drag races here, there’s also a formidable chance you won’t be waiting for more than a couple minutes before your challenger shows up to face you.